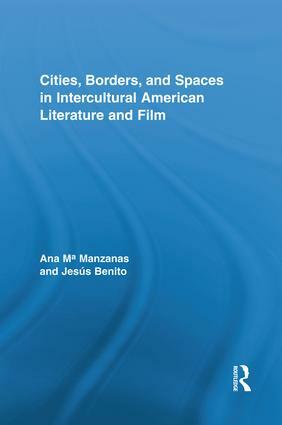 Thus book examines the spatial morphologies represented in a wide range of contemporary ethnic American literary and cinematic works. Drawing from Henri Lefebvre’s theorization of space as a living organism, Edward Soja’s writings on the postmetropolis, Marc Augé’s notion of the non-place, Manuel Castells’ space of flows, and Michel de Certeau’s theories of walking as a practice, the volume extends previous theorizations by examining how spatial uses, appropriations, strictures, ruptures, and reconfigurations function in literary texts and films that represent inhabitants of racial-ethnic borderlands and migrational U.S. cities. The authors argue for the necessity of an alternative poetics of place that makes room for those who move beyond the spaces of traditional visibility—displaced and homeless people, undocumented workers, hybrid and/or marginalized populations rendered invisible by the cultural elite, yet often disciplined by agents of surveillance. Building upon Doreen Massey’s conceptualization of liminal space as a sphere in which narratives intersect, clash, or cooperate, this study recasts spatial paradigms to insert an array of emergent geographies of invisibility that the volume traverses via the analysis of works by Chuck Palahniuk, Helena Viramontes, Karen Tei Yamashita, Gloria Anzaldúa, Alejandro Morales, and Li-Young Lee, among others, and films such as Thomas McCarthy’s The Visitor, Steven Spielberg’s The Terminal, and Alejandro Gonzalez Iñárritu’s Babel. Ana María Manzanas is Associate Professor of American Literature and Culture at the University of Salamanca, Spain. Jesús Benito is Associate Professor of American Literature at the University of Valladolid, Spain.